My name is Arantxa Gisbert and I’m a graphic designer who lives and works in Barcelona, Spain. I enjoy working on creative projects where I use my hands. We live in a digital age nowadays, but when it comes to my projects I always focus on something that people can touch and feel. From my point of view, it’s important to maintain the ‘offline’ tradition. 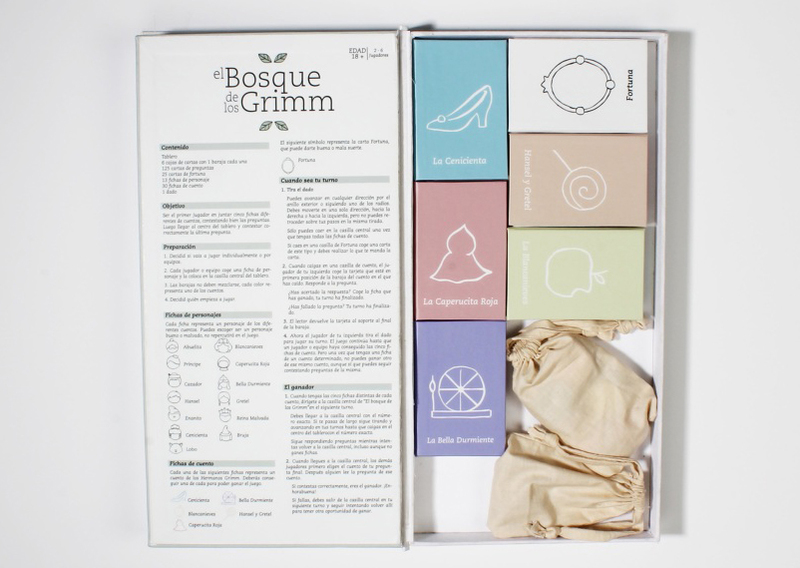 El Bosque de los Grimm (Grimm’s Forest) is a board game that helps players discover the way in which the Brothers Grimm wrote their tales. 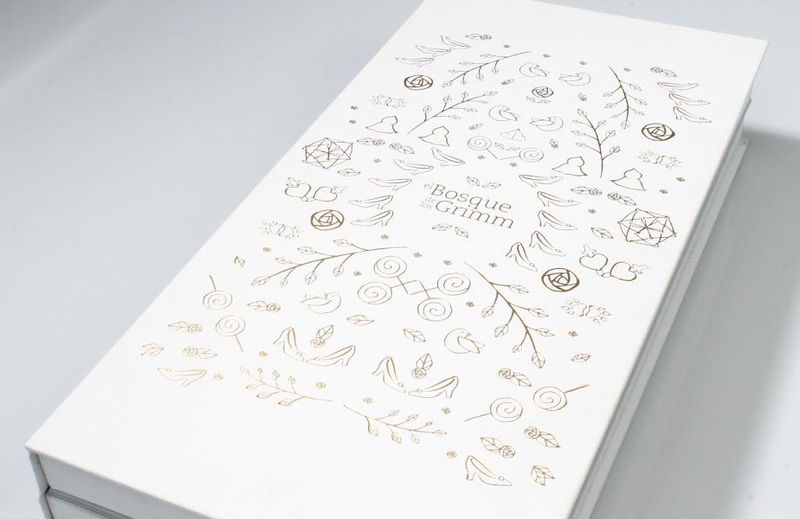 It shows the main differences between the Grimm’s stories and compares them by asking players an assortment of questions. 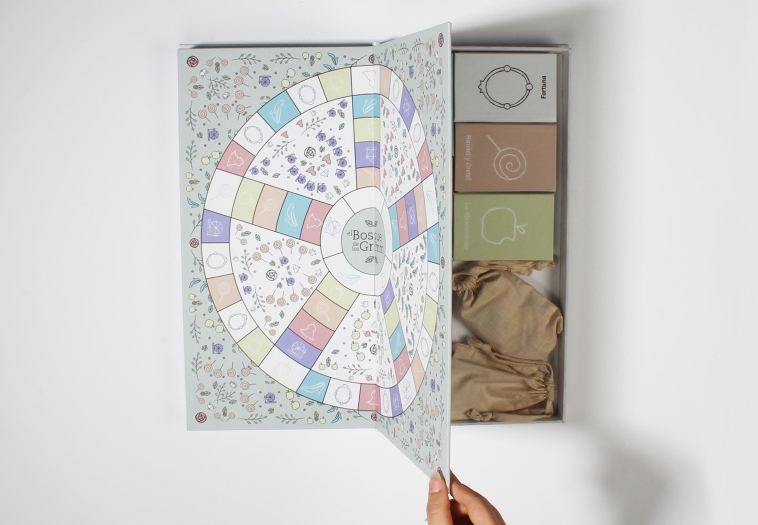 Moreover, this board game transmits values; it highlights plenty of detail in all the selected stories, with the main idea being to evoke the Brothers’ original tales. 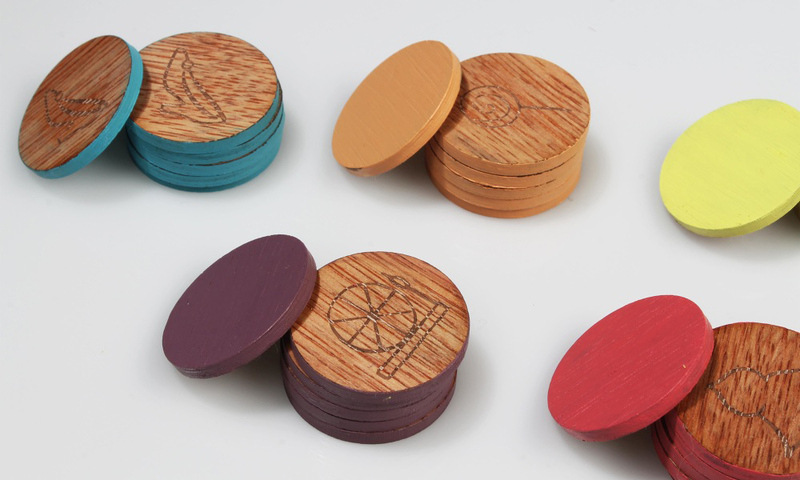 The board’s shape is based on that of Trivial Pursuit, although with clear variations. One difference is the two circles, which the player has to pass over. One of them is bigger than the other. If you want to get from one to the other, you need to follow one of the paths that connects them. 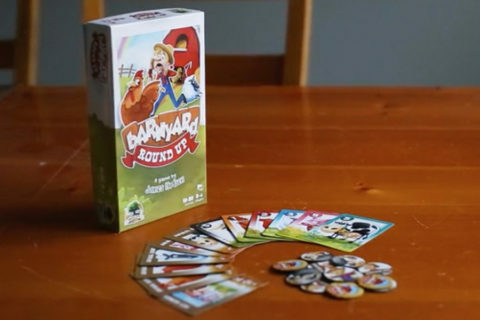 The way you play this game is also similar to Trivial Pursuit, but again there are some key differences. For instance, there’s a square called ‘Fortuna’. If you land on that square, you take a card that will provide you with either good or bad luck. The color scheme used in the game is intended to combine old and modern tones. 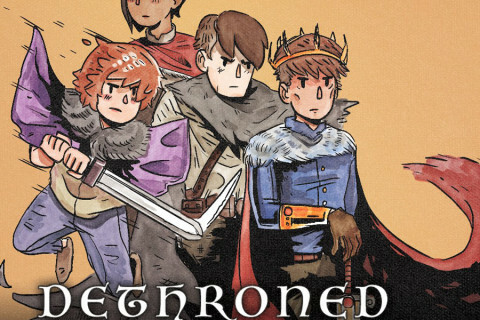 The five main colors match the five tales appearing in the game. Red represents Little Red Riding Hood story; purple belongs to Sleeping Beauty; orange is Hansel and Gretel; Snow White is represented by yellow; and finally, Cinderella is represented by blue. 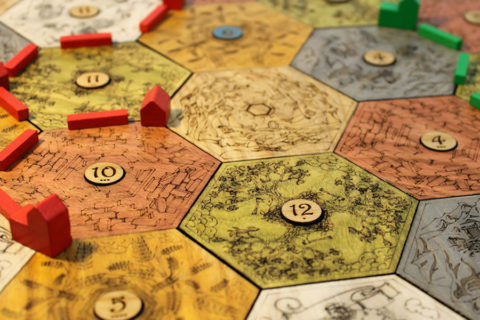 The board’s pattern, the tiles and the game characters have their own symbols and they correspond to the different tales used in the game. They’re modern and minimalist in style, and they’re handmade. Usually, these tales are represented by a dripping and rough style. In contrast, this project innovates giving a minimalist aspect to the whole combination. There are two different types of playing tiles. One type symbolizes the characters appearing in the tales. The second type is called a ‘Tale tile’ and these tiles personify each of the five stories used in the game. 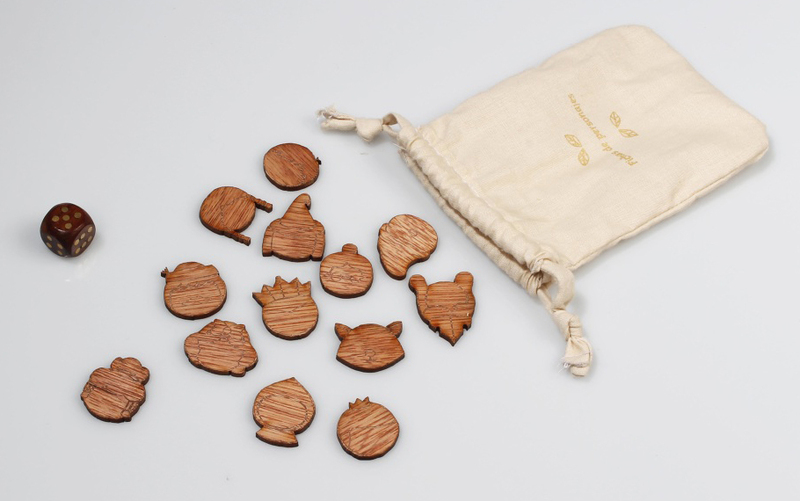 The tiles and the dice are made of wood (keeping with the feel and theme of tales told in and around forests) and kept in a fabric bag. 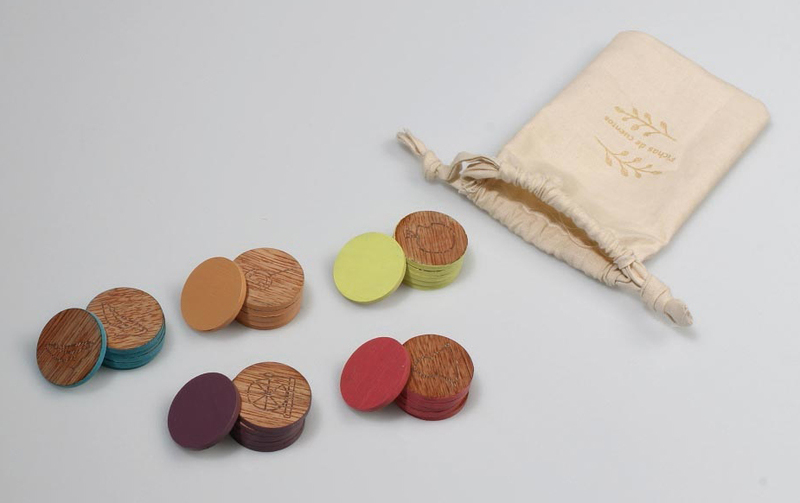 They have the inscriptions ‘Tales tiles’ and ‘Characters tiles’ silkscreened on one side. 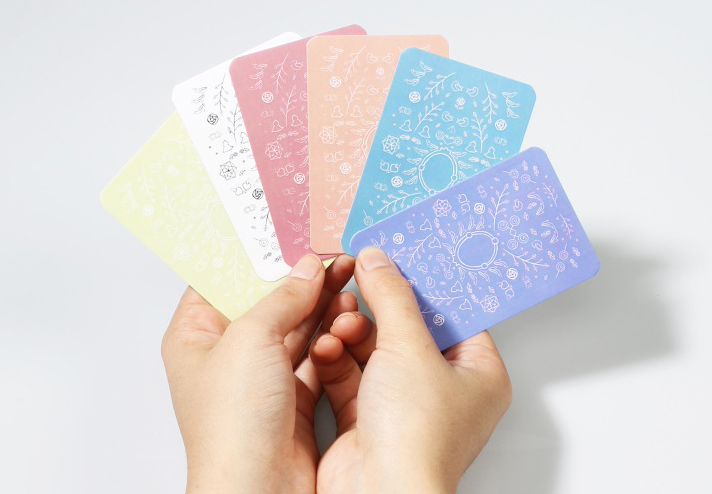 With regard to the cards, the decorations on the back are based on the elements that have been mentioned previously. Moreover, depending on the tale, they are of one color or another. 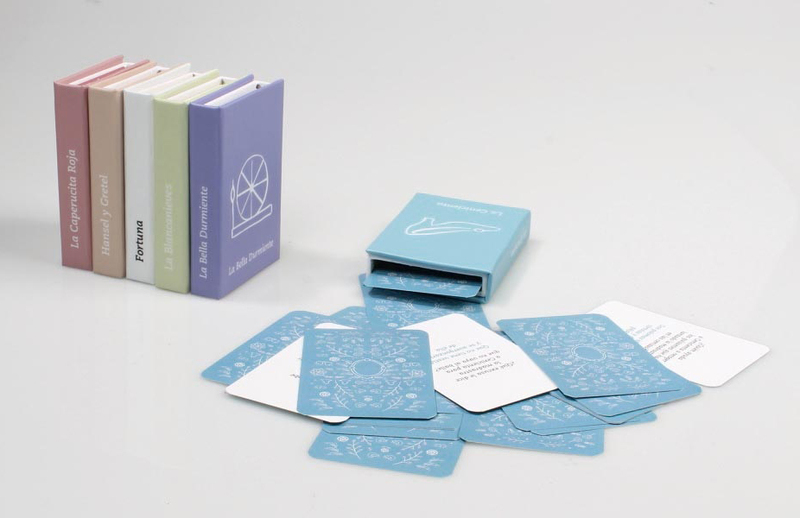 Everything is in a book-shaped packaging to refer to their heritage, whilst the color depends on the tale they symbolize. 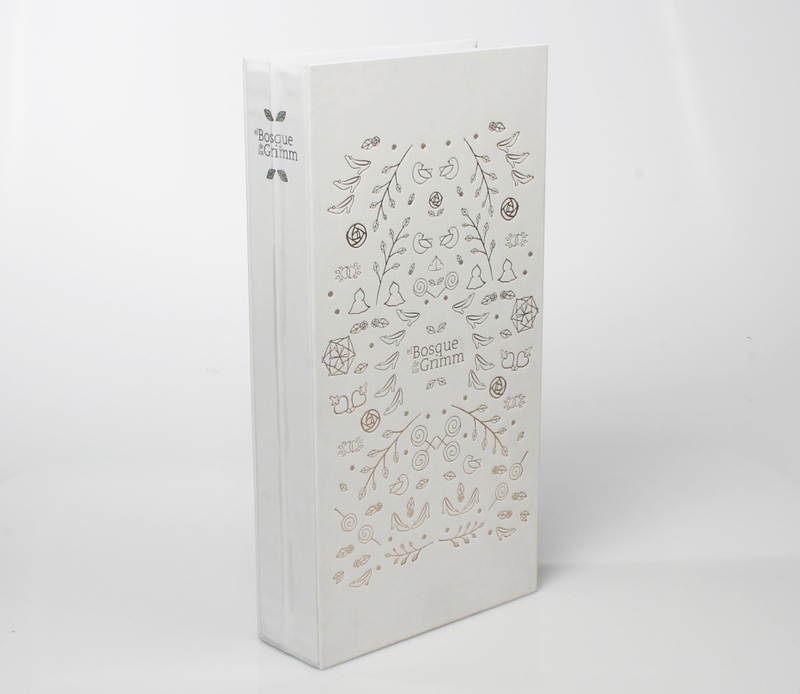 Notwithstanding the modern aspect, the packaging represents an ancient book, which symbolizes the roots of the Brothers Grimm tales. 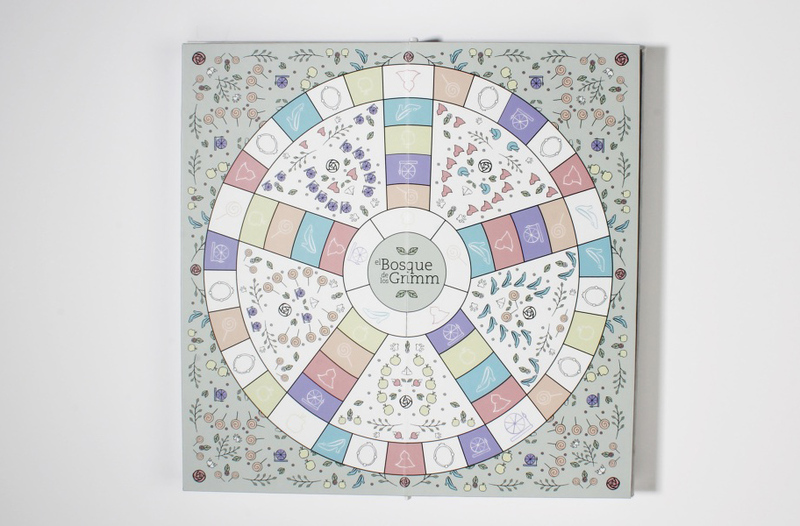 The pattern used on the playing cards also appears on the board game’s cover, which is printed in goffered bronze. As a book, it has a spine and a back cover. 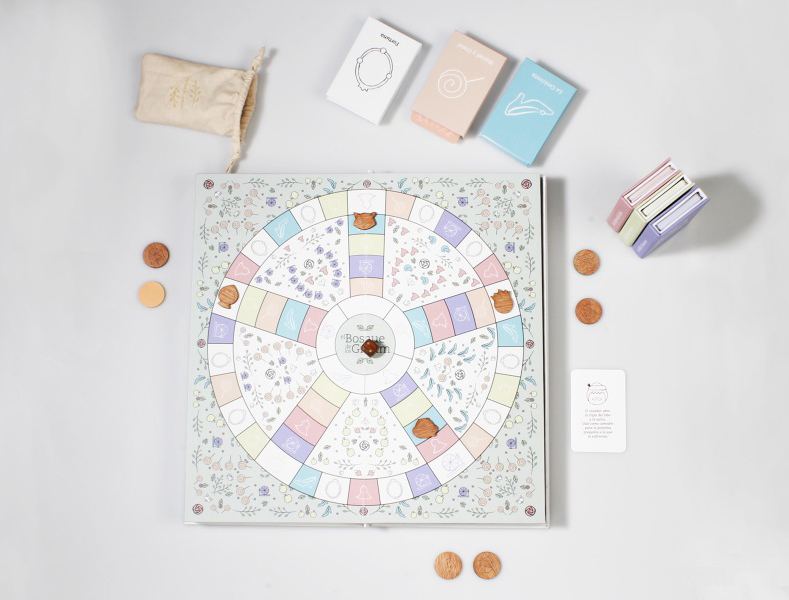 The playing board is included on the packaging itself, so players can play on top of it. It thus succeeds in representing the idea of “the tales come out of the book”. An instruction manual is also to be found on the back of the board. 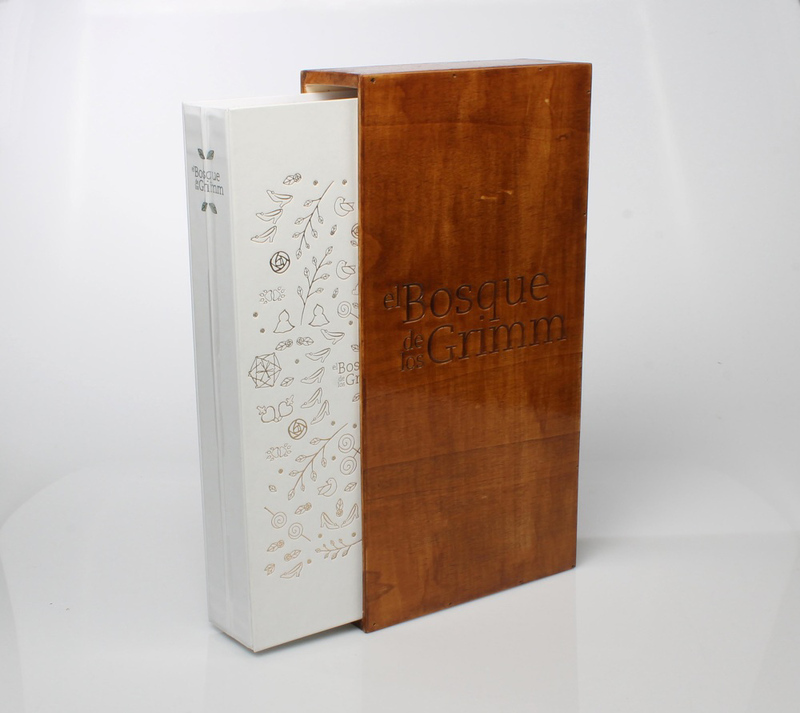 The book shaped packaging is retained by the use of a wooden band on which the name of the game is laser engraved.